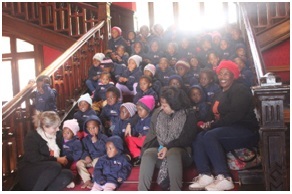 Celebrating the 100 years of Nelson Mandela legacy, the Department of Economic Development and Tourism hosted children from Tshepang Day and After Care Centre to tourist attraction sites in Kimberley on Mandela Day. 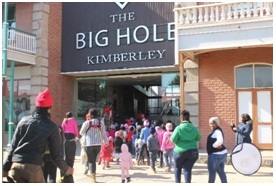 85 Kids were taken to the Big Hole where they were taught about the historical background of the mining in Kimberley and how the Big Hole came to be. Children had an opportunity to tour with a Site Guard that explained the site in detail, for instance the tools they used and the wealth they generated from the mining. 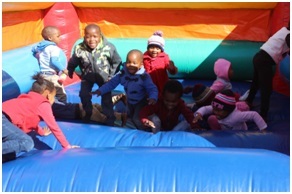 Later in the day the children were taken to the McGregor museum where they had fun activities such as jumping castles. 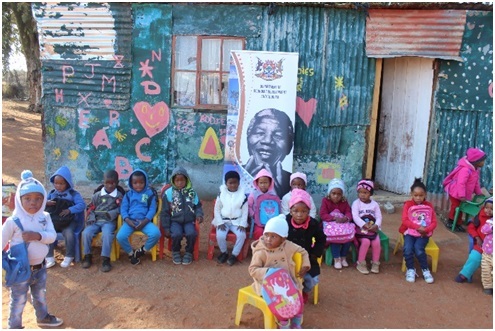 The kids then received party packs that included a toy and a hoodie to keep them warm.